Supplying four 20 Space Shelters to George Eliot & Hart’s Hill school. 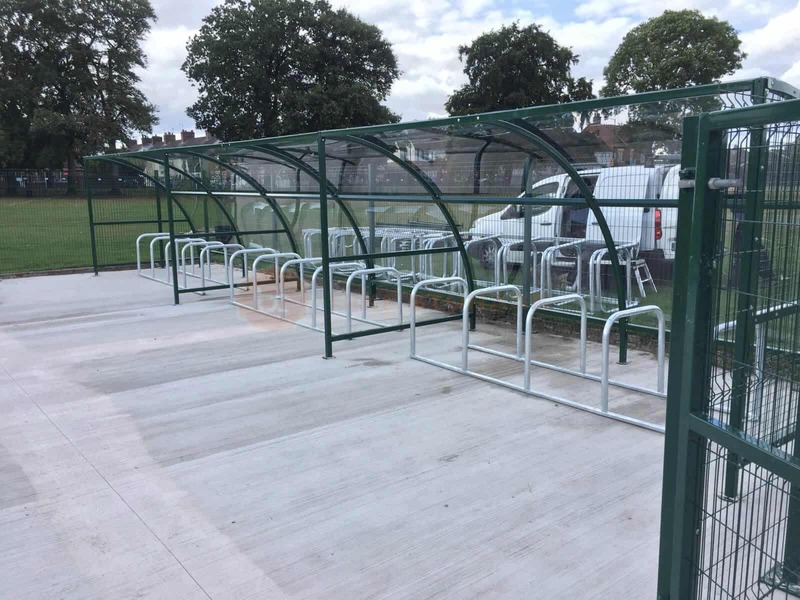 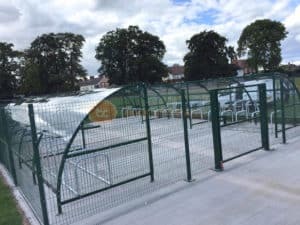 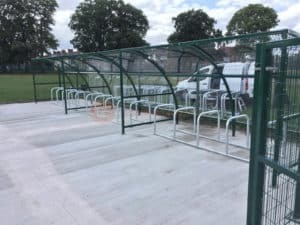 The below images demonstrate works undertaken at Geroge Eliot where The Bike Storage Company supplied in addition to the two Original Cycle Shelters a full 358 Security Mesh Fencing Enclosure. 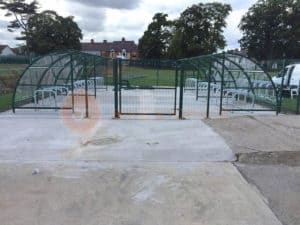 This allowed easy access to both shelters whilst offering users excellent security.